As of today, I have been officially one whole year on kiwi soil. I have seen a lot of Argentinians and Latin American people in Auckland in the past few months, not only my personal group of friends, but on the streets, the beach, etc.. And lately I’ve been feeling that once we leave our country we began to fall into a pattern. I know not everyone might feel the same, so this is my sole opinion. It’s like no matter the circumstances we left our country (good or bad), we begin to get homesick and start doing absolutely everything we can to feel closer to home; every stereotypical thing from our country. Getting together and watching football or rugby matches every time our team plays, know by heart which days each market has a stall of argentinian empanadas, getting to the darkest convenience store and cut deals with the dodgy store manager to be the first one to get Dulce de Leche or Palmitos (palm trees hearts) drink Mates, or my case, do all of them. I have followed every step of the How to become the perfect argentinian in 10 simple steps imaginary book and did absolutely everything I either hated doing back home or just didn’t enjoy, specially….drinking mates. 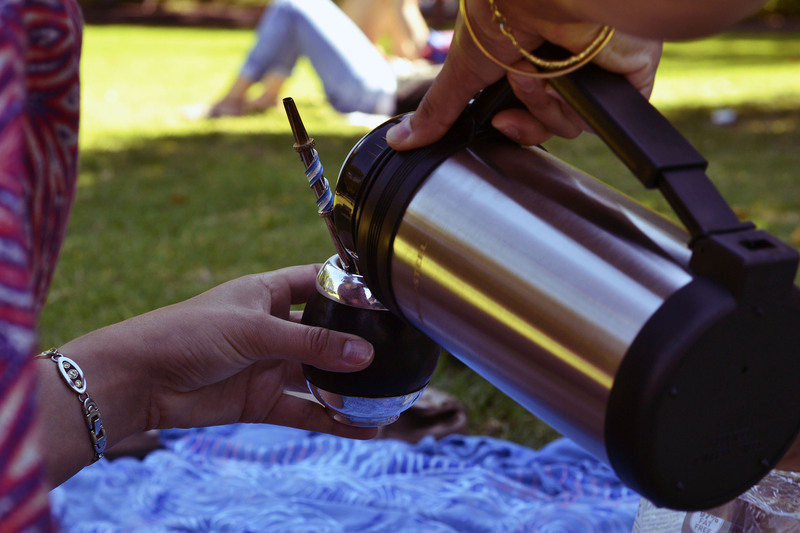 For all non-southamerican readers: The mate is a traditional South American drink and It is prepared from steeping dried leaves yerba mate in hot water, served with a metal straw from a shared hollow gourd. Its tradition to share the mates and if you are within a group of people they all use the same gourd.